When a publicist I correspond with regularly emailed to invite me to this show, I nearly passed. I’m a folk girl with a real love for lyrics, so seeing two blues guitarists (even though they are my age and already have decades of accolades behind them), seemed a little out of my element. 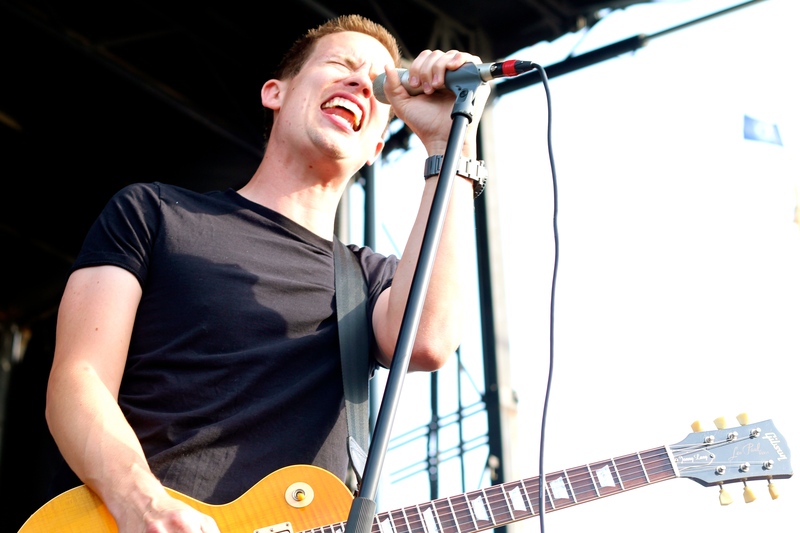 I’d actually seen Jonny Lang back in 1997 when I was a college freshman and he was probably 16 years old. My most vivid memory of that night is that we were up front by the stage for his opening set, but then there was a powerful surge in the crowd when the headliner, Blues Traveler, took the stage. It was the closest to a genuine trampling I’d experience at a show for a solid decade. I mentioned the invite to my sweetie and he insisted we go to the show—and even volunteered to write about it for whatbreesees. 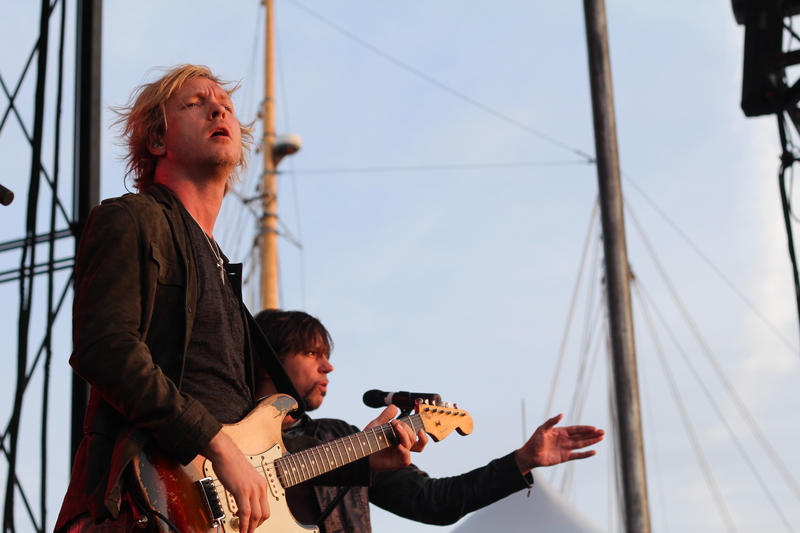 It was a real treat to have a photo pass for the show, because, and I want to give readers fair warning here—seeing a show at the Maine State Pier from the GA section is a nightmare. After I took my photos for the first few songs of both sets right at the foot of the stage and went back to join Jeff in GA, I could barely see the stage and it was kind of pointless to be there. We even ended up leaving the show early and grabbed dinner nearby at Flatbread. I was unhappily surprised when I could see the stage better from our table at Flatbread than I could from the GA section on the Pier. So, if you care about actually having a sight line on the band you pay to see at the Pier, either spring for one of those incredibly expensive seated areas up front or get there early and snag a spot along the barricade in the front row of GA so you might actually see the show. Hopefully that’s a helpful vent about the venue in case you have plans to go there. Both bands were impressive and I wish we’d been able to actually see them to enjoy their talent live. This is my first of hopefully many guest blogger show recaps for whatbreesees.com. 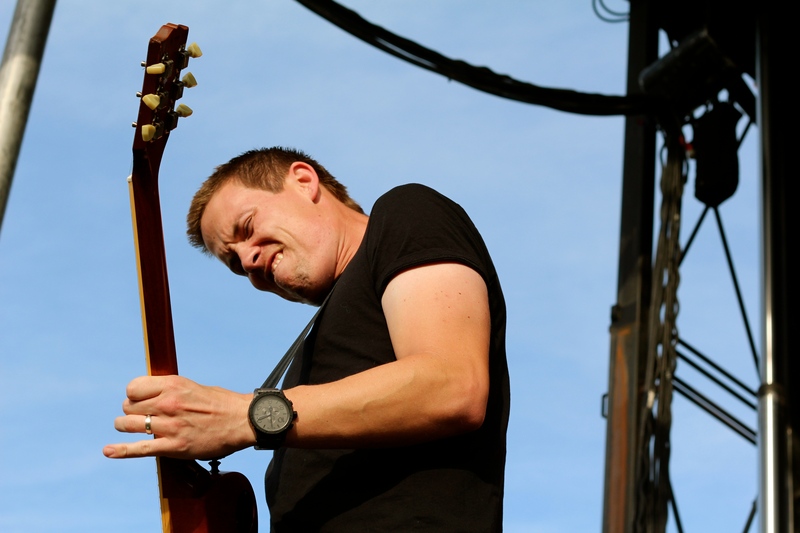 I had three big takeaways from my concert experience with Johnny Lang and The Kenny Wayne Shepherd Band at the Maine State Pier. Number one—these musicians are excellent at what they do. 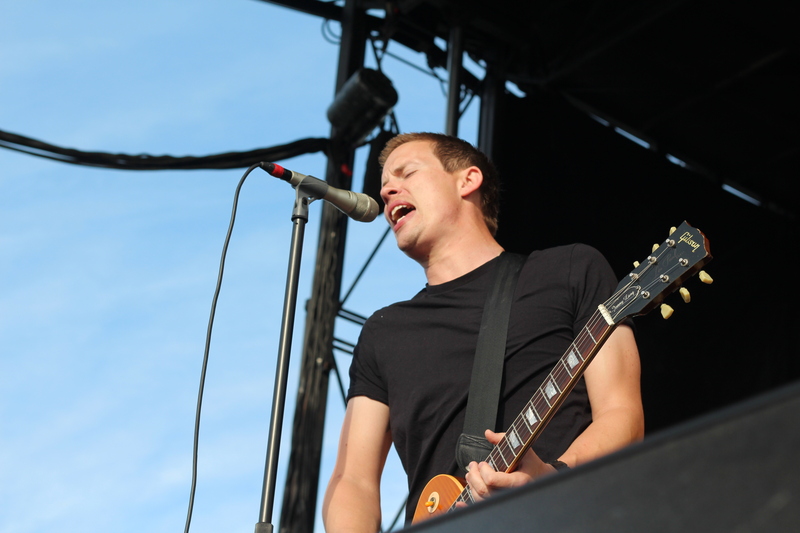 The confidence they show through their music is unmistakable. 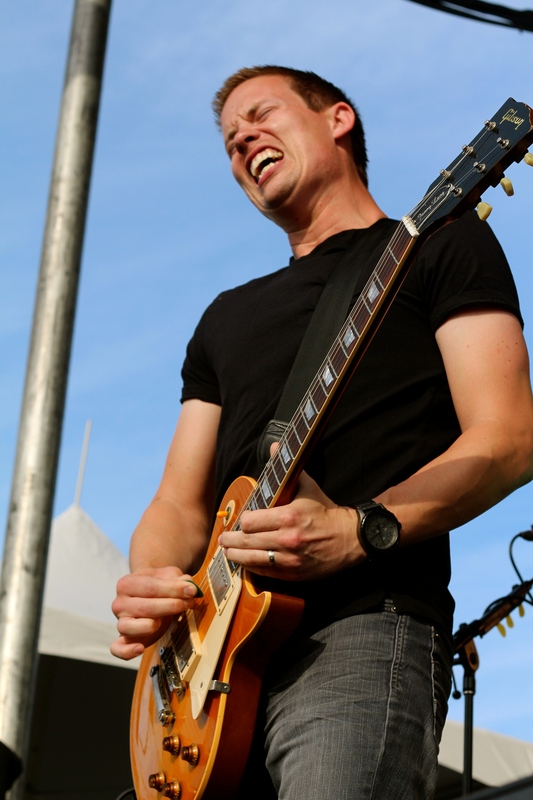 I personally enjoyed Johnny Lang’s performance and his music much more than his counterpart. His brand of blues is something I find accessible and at the same time exciting to listen to. 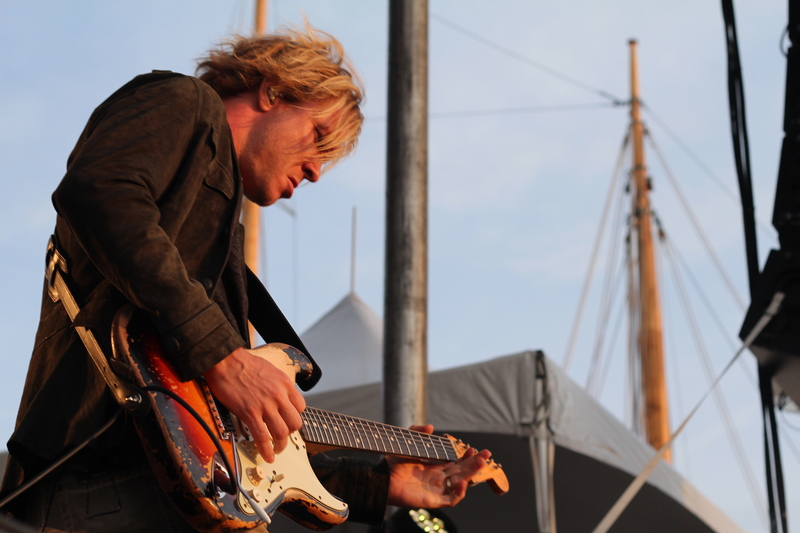 Number two—Kenny Wayne Shepherd is not the singer of the Kenny Wayne Shepherd Band. OK, I knew this one. But my sweetie did not. (Editor’s note: He’s right, I didn’t.) 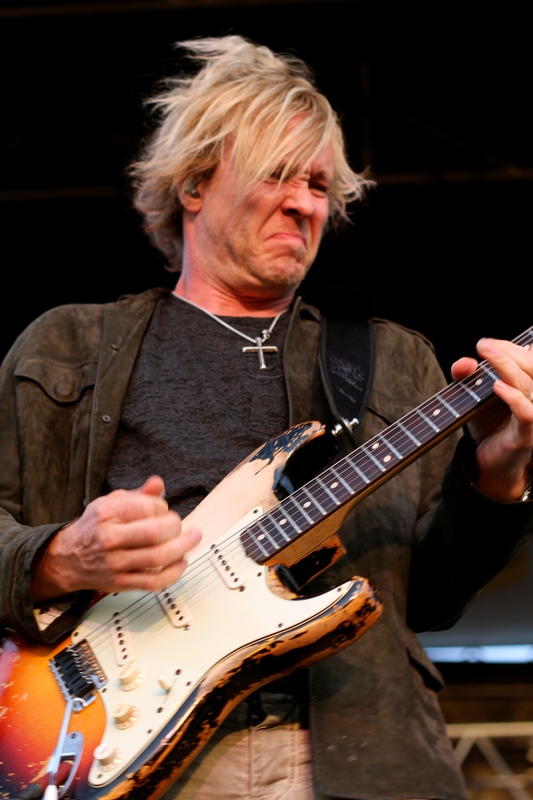 Kenny Wayne Shepherd is an amazing guitarist, but when I hear his hit “Blue On Black” on the radio, I picture one man singing and playing the guitar at the same time, which isn’t the case. Number three—The Maine State Pier is not my first choice of concert venues. 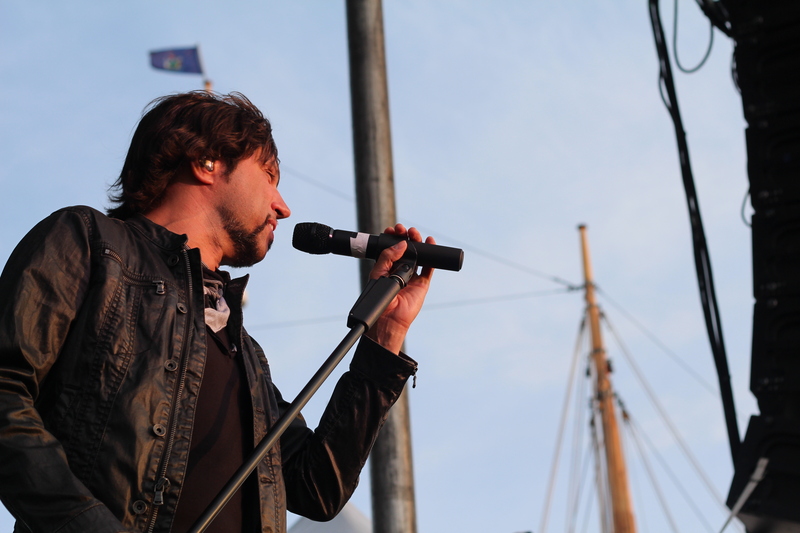 I understand the concept of wanting to host a concert on the water, close to the excitement of the Old Port, but the sightlines are not great (it is a long pier) and I did not feel especially comfortable relaxing and listening. I wanted to lie on a blanket on the grass and listen, or at least be able to see the stage. Maybe if I had been closer to the stage it would have been more engaging, but standing room feels essentially like you are standing outside the venue looking in. (Editor’s note: That’s exactly what it felt like! Well said!) I envied the crew of the ferry parked next to the venue looking down from their perch. 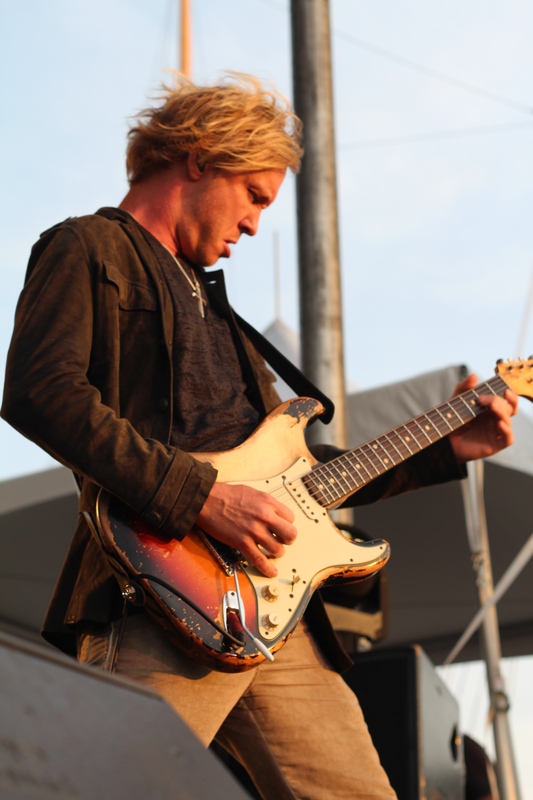 It turns out that Noah Hunt is the lead singer of The Kenny Wayne Shepherd Band. News to me!